This year EPIC’s partners built on a strong base of sustainable agriculture work to move into new regions. In Guatemala, new communities urged FUNDAMARCOS to expand their reach and support in a new geographic region with even greater food insecurity. 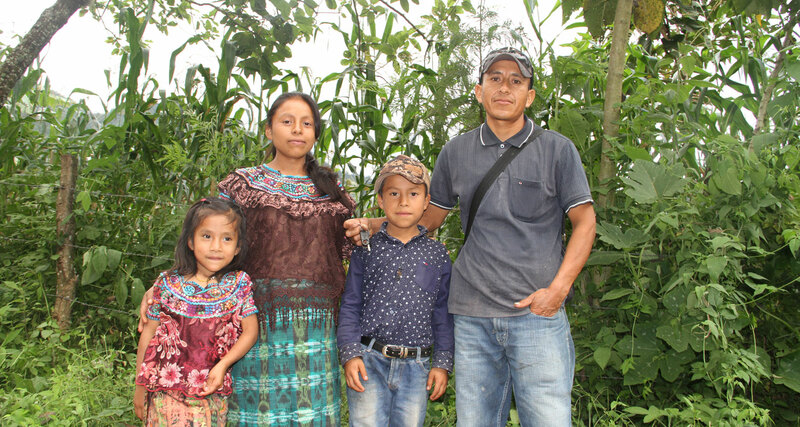 Trained educators helped conduct an initial survey of the new communities and discovered that food production is so inadequate that many families must migrate to other parts of Guatemala to harvest sugar cane or coffee. Together with the continuing communities, FUNDAMARCOS worked with groups in 17 communities teaching practices of restorative/sustainable agriculture and with 16 community groups growing vegetable gardens and learning about better nutrition and hygiene. This integrated approach transforms the food security of families. The EPIC Board heard inspiring stories of transformation and the anticipation of more improvements from visits with the FUNDAMARCOS educators..
La Semilla del Progresso in Honduras has more than doubled the reach of its sustainable agriculture work when it began working in two new areas two years ago. 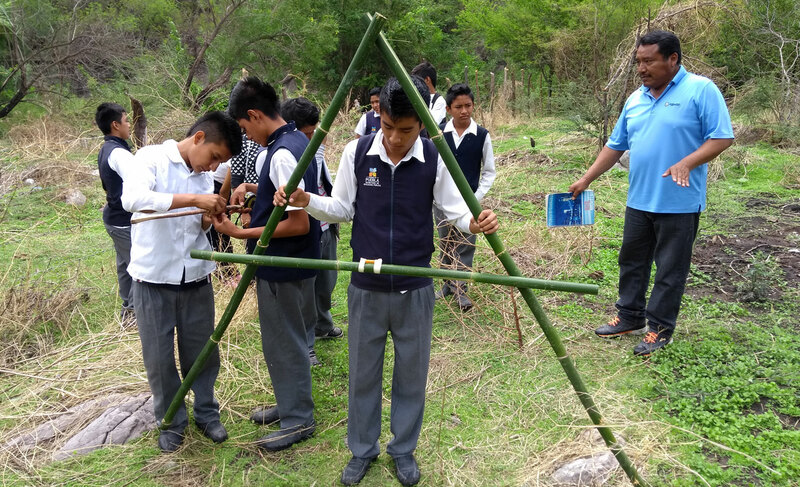 The students in the photo below are learning to use an A-frame, laying out contours which will prevent soil erosion on their fields. It takes a couple years to introduce new agriculture practices like this, and to reap the results, but the farmers in these two new areas are now poised to have greatly increased harvests. This year La Semilla supported seven promotors who are working with 356 farmers in 29 Honduran communities. EPIC did not anticipate a new agriculture program in Mexico. EPIC has supported the environmental protection and human rights work of the Fundación Sergio Méndez Arceo for a number of years, and eagerly agreed to support their new request for a sustainable agriculture program in Axochipan, Mexico. EPIC helped them start using the “farmer to farmer” approach to teaching agriculture by linking the new program with coaching and education provided by the Vicente Guerrero Program. In 1996, Vicente Guerrero was the first agricultural program with which EPIC partnered, and it now sustains itself by contracting to teach sustainable agricultural practices throughout Mexico.